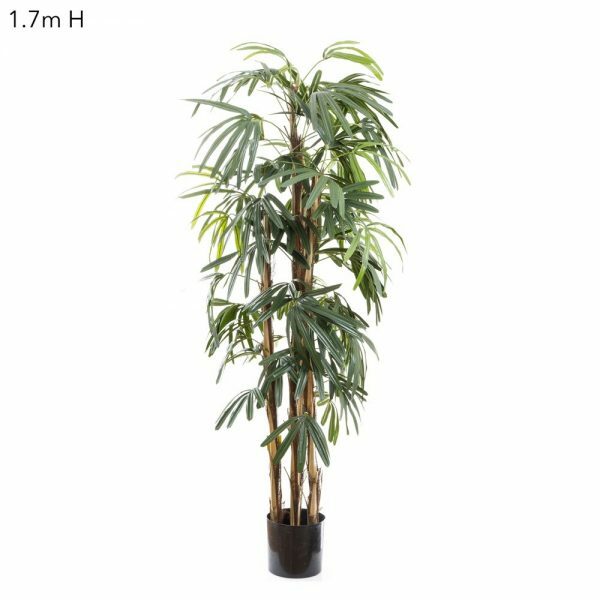 This Parlour Palm 2mt, also known as Aiphanes gracilis. 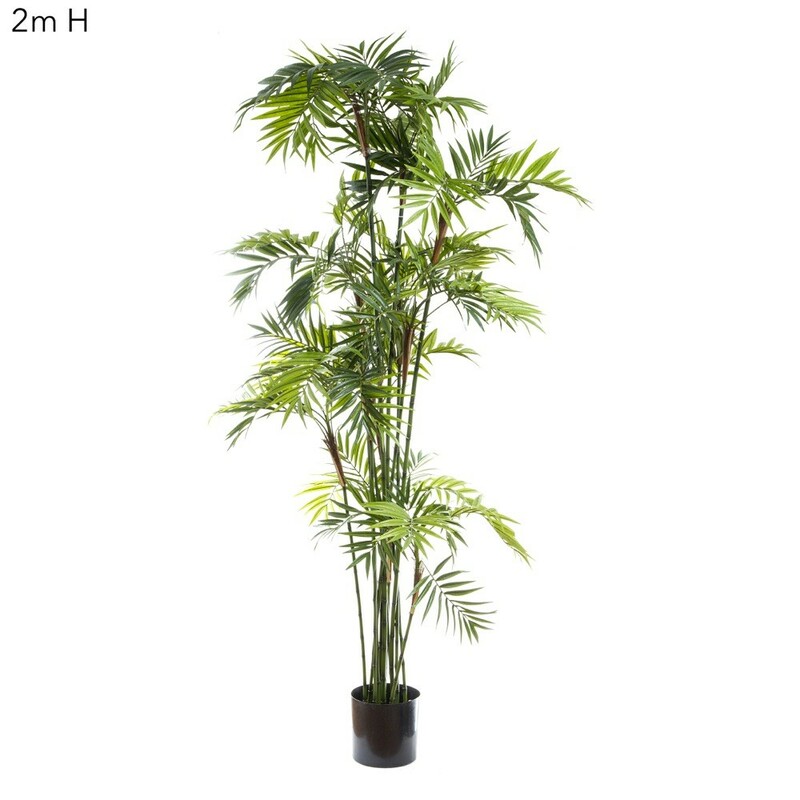 This Artificial Palm is Perfect for adding some life to any area of your home or office. 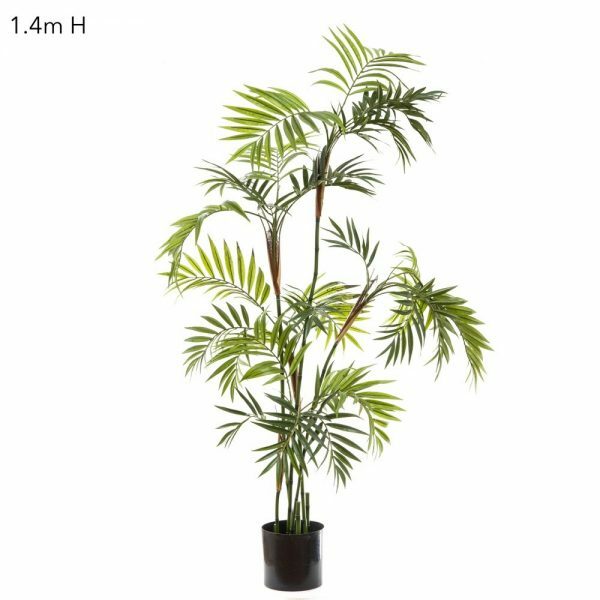 Sizes starting at 1.2m This Parlour Palm 2mt is Perfect for adding some life to any area of your home or office. 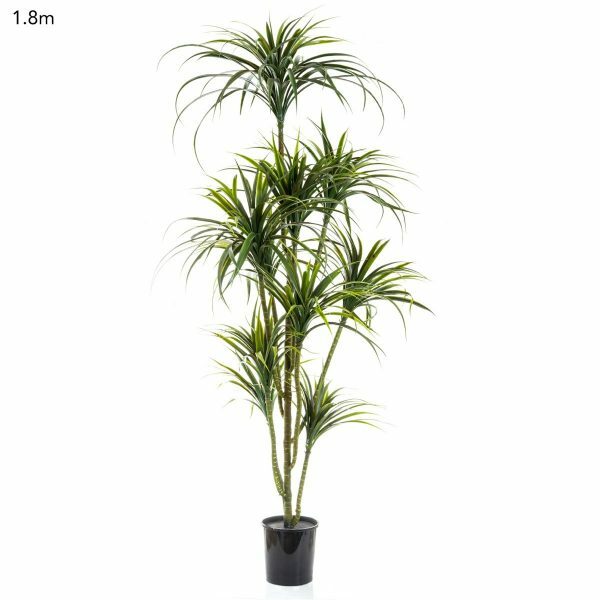 This Parlour Palm 2mt, also known as Aiphanes gracilis, is a species of palm, native to Peru. 12 stems emerge from the base. The leaves are arched, and pinnate, with 18+ pairs of leaflets. Great for tight spaces or bend the realistic branches out for a more wider view. Artificial Parlour Palm 2mt use real Palm casings where the Palm head protrudes from the stems and adds to the realistic look and feel. Ask yourself…am I “over” trying to get plants to survive and stay looking fresh and green ? Are you sick and tired of finding bugs and dead leaves..water stains on your floors…Well…maybe its time to consider a plant that never dies! At Silk Trees and Plants we go out of our way to produce the most realistic and up to date products for your home or office areas. Pricing is for Parlour Palm 2mt only, please contact us for information on Pots and Vases available to choose from.